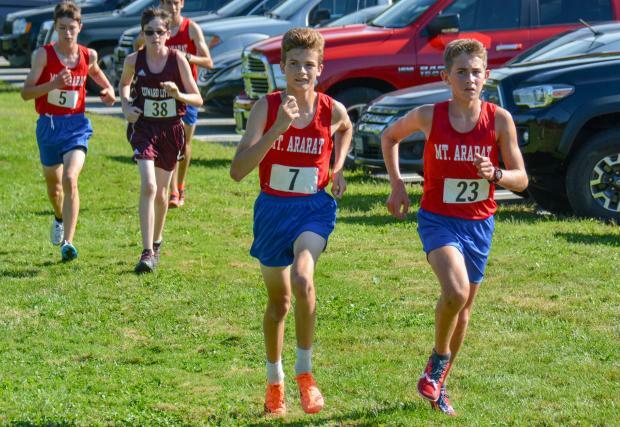 In a three team race hosted by Edward Little at the Auburn Middle School, the Mt Ararat Eagles took the team wins in both the boys and girls races. The Lewiston Blue Devils were second while the host Red Eddies brought up the rear in both races. 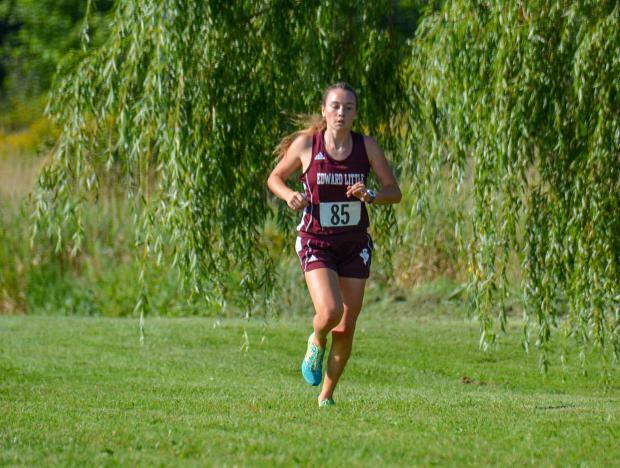 But there was reason for the Eddies to cheer as senior stalwart Jillian Richardson opened the 5K season with a new course record and new personal best of 19:07.70. Richardson's time was 13 seconds better than her prior mark set at the speedy course in Belfast at the 2017 Festival of Champions. Richardson also had some company as sophomore Lily Vincent took the fourth spot. After a surprising tenth place finish at last week's Laliberte Invitational the sophomore, also notched a new personal best. She knocked almost a full minute off her prior best, also set at Festival of Champions. Vincent told Milesplit she had done a half-marathon this summer and the mileage required for that has been helpful as her sophomore campaign opens. Richardson noted that it's great to have another Eddie among the top finishers but even more helpful during the long runs at practice. Mt. 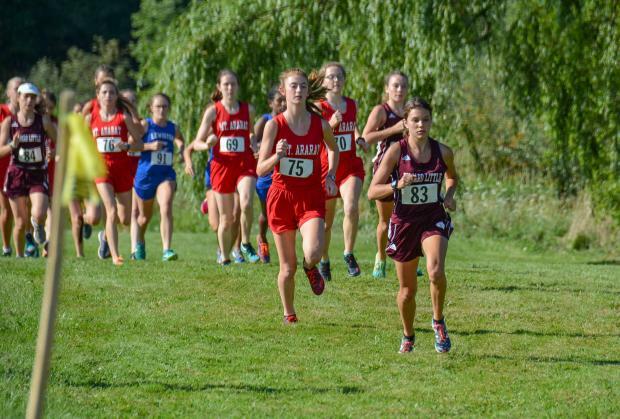 Ararat, in the absence of Katherine Leckbee who graduated in 2018 after a stellar career, looks to be in good shape with sophomores Camila Ciembroniewicz and Karlie Leighton vying to take over the number one spot. The pair split eight 5K's last season evenly. 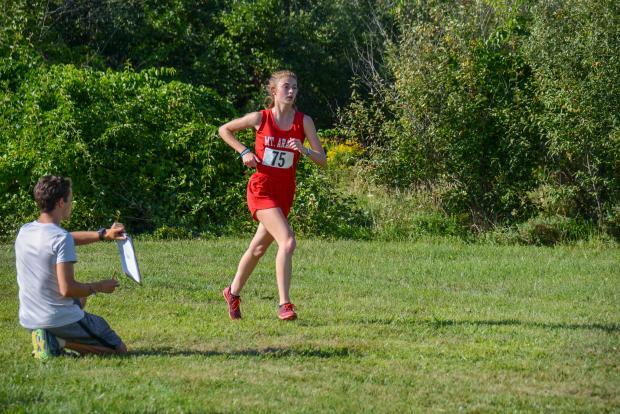 Both finished in the top ten in the KVAC Championships, and the Northern Maine Regional Championships while Leighton replicated the feat in the State Championship by finishing 9th. Look for this pair to lead the Eagles all season. In the opening meet Ciembroniewicz crossed second (20:44.38) while Leighton was third (21:28.70. Other scorers for Mt. Ararat were Katie Lynch (7th), Sara York (8th) and Faye O'Donnell (9th). 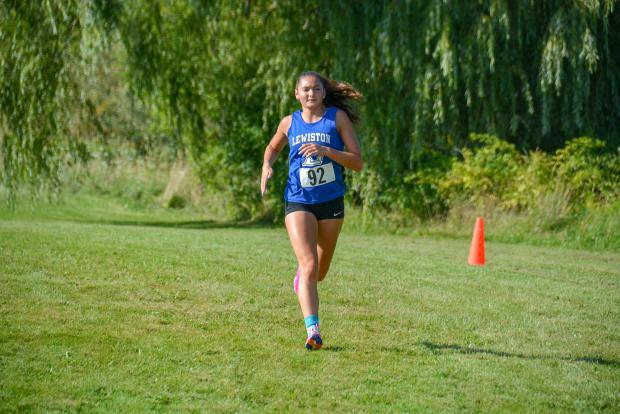 The second place Blue Devils were led by senior Zaid Teklu (5th) and newcomer Brooke Cloutier, a senior, who finished 6th. An accomplished javelin thrower she also runs the 800 and 4 x 800 for the Blue Devils in spring track. Cloutier is a powerful swimmer who has led the Blue Devils for several years. Look for her to progress quickly in this new role and provide Teklu with some company this season. Mt. Ararat finished with 29 points, Lewiston with 47, and EL with 53. On the boys side the Eagles finished with 18, while Lewiston was second with 43. EL closed the scoring with 67 points. Sophomore Nate Cohen led the Eagles finishing first in 17:38.90, while first year Grady Satterfield clocked in at 17:51.70 with Andrew Chamberland just behind at 17:53.70. Lucas Bergeron was three-seconds back giving the Eagles the top four spots. Tyler Bernier wrapped the scoring for the Eagles when he finished 8th. Cohen and Chamberland established new personal bests. Satterfield put his first high school 5k in the books so his mark is also a personal best. Maurice Beaulieu led the Blue Devils with a 5th place finish. Victor Tripp led the Red Eddies with 9th place finish. Reigning State Champion Lisandro Berry-Gaviria was not available to run for Mt. Ararat but was busy marking time for teammates in both races. All three teams will run at the Quabacook Relays next Saturday in Bath. Hosted by Morse, the Quabacook is a joint venture between Morse, Brunswick and Mt. Ararat. Quabacook is an Abenaki name for Merrymeeting Bay, the body of water where the Androscoggin and Kennebec Rivers meet that defines the communities served by Mt. Ararat, Morse and Brunswick. The course used at Quabacook (2.54 miles in 2017) is a two loop circuit over a modified figure eight that features two substantial hills, each of which is climbed twice. It ends on the track at Morse. The race pits the runners against each other based on their ranking within their team. There are seven complete varsity races and a separate jayvee race. The lowest score possible is a seven. In an eleven team field last fall Mt. Ararat took the team titles for both the boys (17 points) and girls (11 points) races.